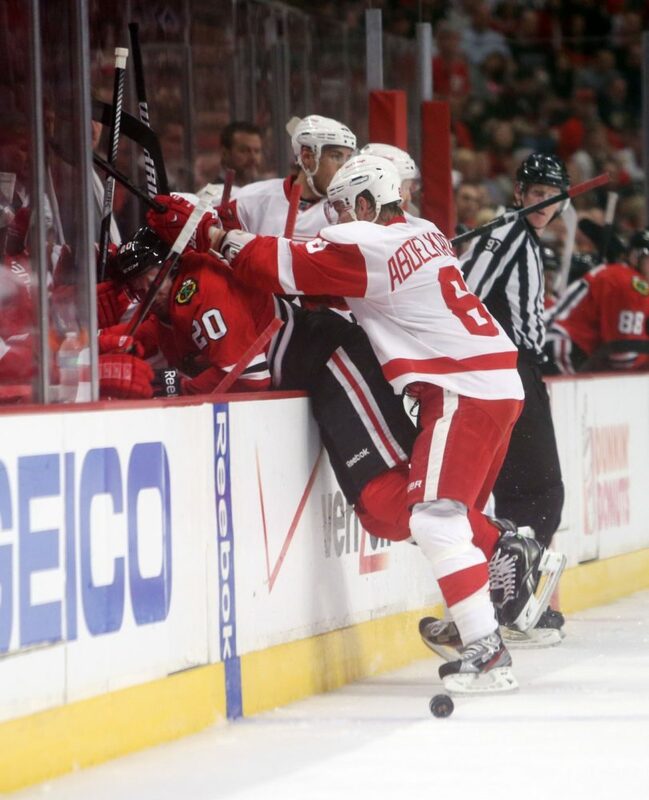 The Detroit Red Wings have always been a franchise known for their veteran, experienced-saavy players. The historic, Original Six franchise seems to be synonymous with names like Henrik Zetterberg, Pavel Datysuk, Niklas Kronwall, and Johan Franzen, amongst greater legends like Nicklas Lidstrom and Steve Yzerman. However, the youth injected into this team over the past couple of seasons has brought this team to life, especially during the end of this past season and currently during the Stanley Cup Playoffs. Instead of the decline and rebuilding year many thought was going to occur in Detroit, the team is currently on a magnificent role that has them looking to take a commanding lead over the President Trophy winners, Chicago Blackhawks, in the second round of the playoffs. Mike Babcock’s veterans have been there all the way, but it’s really the youth movement that has overtaken this team that has the Red Wings on the door-steps of another Western Conference Final. The Detroit Red Wings have always been a team that consistently finishes in the top 10 in the league. As such, their position in the NHL draft may not always be favourable. However, they have managed to draft some fantastic young studs and look poised to maintain their pace as one of the NHL’s most consistent and most well-rounded teams (Zetterberg and Datsyuk were both diamonds in the rough, drafted 210th and 171st overall in their respective drafts). Though the Red Wings have selected lower than most teams over the years, they have managed to find some great, young, talented players who will be carrying this team in the near future. Here’s a look at some of the most recent draftees who have already made their presence felt in the NHL, and will certainly continue to do so over the next 10 years. Gustav Nyquist (4th round, 121st overall in 2008 draft): The young Swede may not have had the most productive year, with 6 points in 22 games (3 goals and 3 assists), but he’s been a mainstay in the Red Wings’ line-up since the middle of March. He’s a great play-maker, has great hands, and has scored some big goals for the Red Wings in their recent playoff push. He’ll have a big part in the Red Wings’ scoring for years to come. Don’t believe me? Watch this! Brendan Smith (1st round, 27th overall in 2007 draft): The 24-year-old finally made the jump to the show this year, filling in holes left by Nicklas Lidstrom and Brian Rafalski. The 6’2″ defence-man still has a lot to learn, but has great hockey sense and had 8 helpers in 34 games this season. Smith is a great stay-at-home presence who likes to take the body. He’s developed some great chemistry with Jakub Kindl; look for this pairing to perhaps takeover the number-2 duo on Mike Babcock’s depth chart. Cory Emmerton (2nd round, 41st overall in 2006 draft): The St. Thomas, Ontario-native has been a great 3rd and 4th line presence for Mike Babcock. He just finished his second season in the NHL, and has learned a lot from the likes of fellow centre-men Henrik Zetterberg, Pavel Datsyuk, and Valteri Filppula. He was in the 50% range on face-offs and had 8 points in all 48 games of the shortened season. His durability at only 24 years of age makes him a great play for the Red Wings and Mike Babcock. Free-agency may be one of the toughest aspects to master in the NHL. Loads of NHL free-agents, European players, and college kids all hanging from the tree of NHL stardom, waiting to be picked by the right general manager. The trick is finding the younger players who are on the verge of NHL success. Ken Holland, Detroit general manger, has already found a couple prized-possessions who have already impacted, and will shortly be making their impacts in the NHL. Here’s a look at some younger, former free-agents, that Ken Holland has recruited to the historic franchise. Damien Brunner (former team: EV Zug-Switzerland): Wow. Switzerland keeps producing some fantastic hockey players. It’s anyone’s guess as to how European players will fare in their first year in the NHL. In his debut season in the NHL, Brunner scored 12 goals and had 14 assists, good for 26 points in 44 games. In mathematical terms, that’s almost a point every other game (not too bad). The signee from last summer was a great source of secondary scoring for the Red Wings during the season, and is tied for second on the team in the playoffs with 8 points. And he’s only 27 years old. There’s much more to come from the Swiss winger. Red Wings fans should get excited about this guy! Here’s the proof! 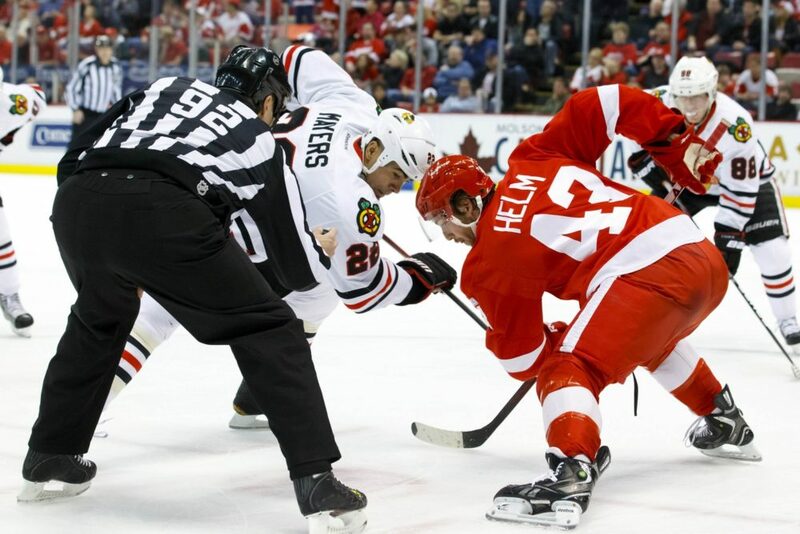 Danny DeKeyser (former team: Western Michigan Broncos-CCHA, U.S.A.): Ken Holland struck gold on this one! With every NHL team having a chance to land the 23-year-old defence-man without submitting a waiver claim or giving up assets, you knew their was going to be a scramble for his services. Luckily for Red Wings’ fans, he decided to sign a 2-year contract with his hometown team. He has an NHL skill set which has yet to be displayed (through only 13 games combined during the season and playoffs). He has good puck moving skills for a big kid, and has great hockey smarts. Give this kid a couple years, and we may be looking at another ‘Ryan Suter’-like player. With Justin Schultz making a great transition from college hockey to the NHL, hopes are high that Danny can do the same as well. Check out my previous post on DeKeyser to see what other good things he brings to the table in Detroit (https://thehockeywriters.com/danny-dekeyser-a-good-fit-for-detroit-thus-far/). The Red Wings of old used to have guys like Lidstrom, Holmstrom, and Osgood who provided the leadership and experience for the team. These players had been around for ages, had been to the playoffs many of times, and had a wealth of experience that could be used in virtually any scenario. However, with the youth-movement taking place in Detroit, we are seeing younger players (and not necessarily older) acquiring leadership roles within the team. These 2 players have caught my eye the past season, as they are under 30, are both Detroit draft picks, and have really helped the team remain competitive in the NHL. Justin Abdelkader (2nd round, 42nd overall in 2005 draft): Justin has really solidified himself as one of the team’s most dependable players. The 26-year-old is your typical power-forward, playing a physical brand of hockey while scoring for you (he had 10 goals this past season). 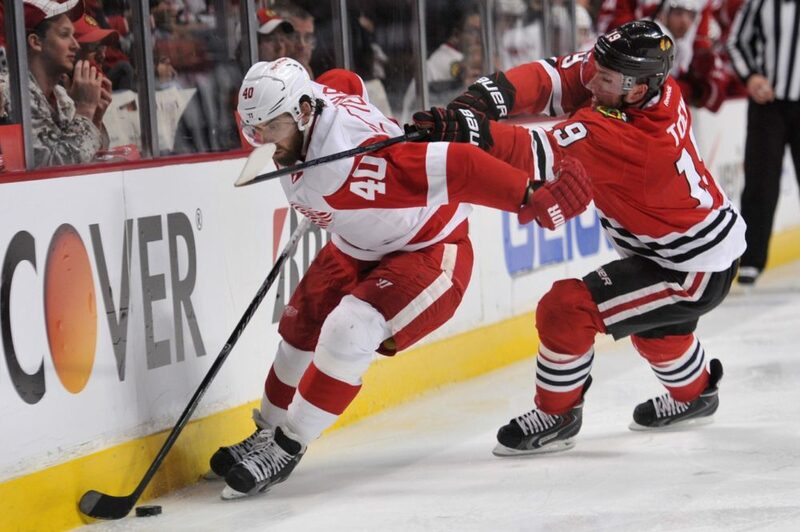 He is one of the more physical players on the team, and is a spark plug for the Red Wings. He can motivate a team with his physicality, but knows when he needs to play a more technical style game. Including this year, he has 4 seasons under his belt, and 5 post-seasons to his credit. You can be sure that Justin will be looked upon, not just by his teammates, but by coach Mike Babcock, to help lead this team down the playoff stretch, and into the future. Jimmy Howard (2nd round, 64th overall in 2003 draft): Who says goaltenders don’t have experience and leadership. Some of the best goaltenders have gone on to lead their teams to glory (cue Terry Sawchuk and Chris Osgood). I believe Jimmy Howard will soon etch his name into the history books, as one of the best goalies to every play for the Detroit Red Wings. The 29-year-old has stolen games the Red Wings had no business being in. He has never won a Vezina trophy, but sure played like it this season. He was 21-13-7, with 5 shutouts (tied for first in the league) a .923 SV% and 2.13 GAA. He is in his fourth full season with the team, and has been to the playoffs 4 times (this year included). 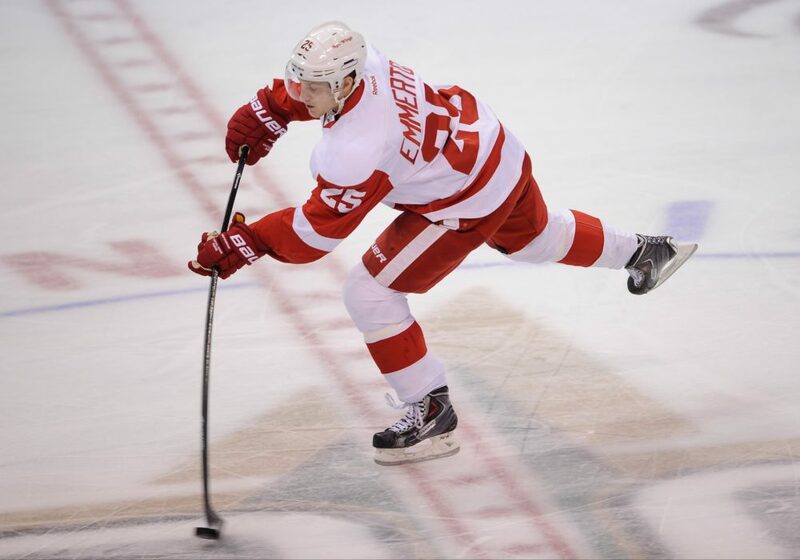 His experience has come in handy with the Red Wings playoff hopes hanging in the balance late in the season. With the Red Wings facing the number 1 and 2 seeds in the first 2 rounds of the playoffs, he’s picked up his play. He has given this team a chance to win night in and night out. If that’s not leadership, I don’t know what is. Let’s not forget the group of established players who are the Red Wings ‘go to guys’. Captain Henrik Zetterberg, Pavel Datsyuk, Johan Franzen, and Niklas Kronwall are all older players who have solidified their roles on the team. They may provide the bulk of the scoring for the team, but without the youth that surrounds them, they’re most likely golfing right now instead of looking to advance to the Western Conference Final .